I found Stuart Bray’s blog, www.learnmakeupeffects.com/blog, after he commented on one of my post, to ask if I was going to IMATS London this year. While I am jealous that he is going to IMATS London and I am not, I am glad he took the time to comment. The Learn Makeup Effects website offers special fx workshops for a nominal fee. 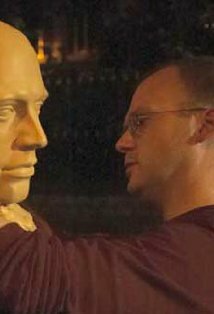 While I don’t have any experience with his workshops (he is in the UK, I am not), the blog that Stuart does is quite interesting. I read a few post and this guy really knows his shi…stuff. And while he is selling some courses, he is also very open with information in general, which is why I added his blog to my blog roll. His site even offers a free 7 part mini ecourse to anyone with an email address. A fair trade. What an intriguing person, this Stuart guy. I wanted to know more about Stuart, so I looked him up on Twitter, which I have listed below. I couldn’t find him on Facebook. I did find him on IMDB and man, he has quite a few films under his belt, including a fav of mine Shaun of the Dead! How cool is that!?! Plus, we are the same age, although he has done a lot more than I have. I am a late bloomer, I guess. Learn more about Stuart Fray & Learn Makeup Effects on….